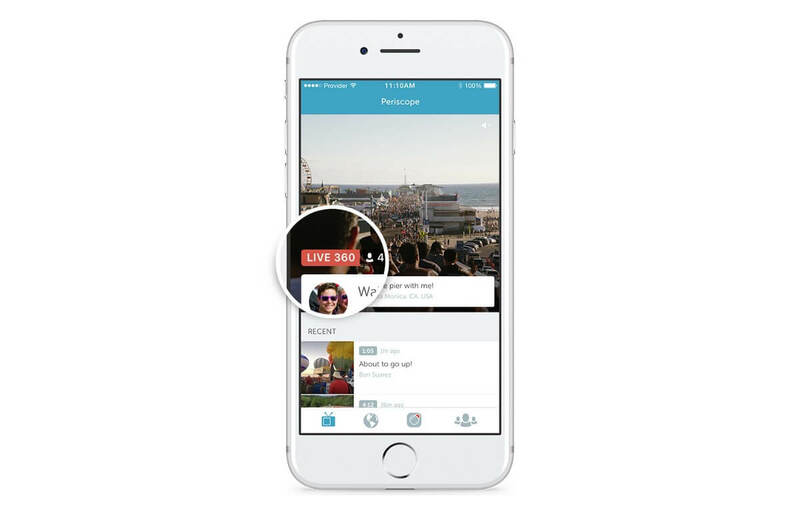 Above: A badge now appears on Periscope denoting which broadcasts support 360-degree viewing. Starting today, live 360 videos will be denoted with a badge on both Periscope and Twitter. When you’re viewing the video you can modify the point of view by either moving the phone or tapping and scrolling around the screen. To create this special livestream, you’ll need to use the Insta360 Nano camera, although Periscope said creators are allowed to “experiment with connecting other 360 cameras” using its Periscope Producer service, which was introduced earlier this year. The release of this feature comes just weeks after Facebook announced support of 360 videos in live broadcasts, with a wider release planned next year. Periscope declined to state which partners would initially have access to the new capability, but the company said those interested in participating can join its waitlist. It’s not clear when the general public will have the ability to create 360 video broadcasts — but how many actually have a camera that will allow them to take advantage of this feature? The company may keep this option exclusive to creators who want to provide a more personalized and unique viewing experience. Updated as of 4:11 p.m. Pacific on Wednesday: Clarified to state that Facebook has started rolling out 360 video support for Facebook Live.